Hall & Hunter Realtors connect clientele to the absolute finest networks in the real estate industry. These international affiliations create a distinct advantage in a highly competitive market, providing exposure for properties to the largest audience of qualified buyers both nationally and internationally. Christie’s International Real Estate is the world’s largest international network of real estate brokers specializing in the marketing and sale of luxury properties. Founded as Great Estates, Inc. in 1987, the company was acquired in 1995 by Christie’s, the world’s oldest fine arts auction house, to fulfill client demand for real estate services. Today the Christie’s International Real Estate global network of affiliated brokers includes 32,000 sales associates operating from 1,200 offices in more than 45 countries. The network’s combined annual sales topped more than $118 billion of residential real estate in 2015. This affiliation is tailored for real estate priced at US$1 million and above, our finely tuned suite of programs provides a world-class showcase for distinguished homes. 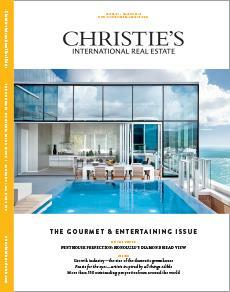 The Christie’s International Real Estate network receives more than 70 million online visits each year from discerning homebuyers worldwide. Hall & Hunter Realtors is proud to be a member of Leading Real Estate Companies of the World® and its luxury network Luxury Portfolio International®. As a member of LeadingRE and Luxury Portfolio, our company is a global, not just local, real estate company working on your behalf. We expand our local expertise to deliver world-class marketing and resources on a global level. By utilizing the strategic advertising programs, award-winning website and premium marketing materials provided by LeadingRE, we can provide an even broader reach for our clients and overall the very best service. Leading Real Estate Companies of the World® (LeadingRE) is a global network comprised of more than 550 firms with 4,000 offices and 128,000 sales associates in more than 55 countries. Our affiliates are responsible for more than one million transactions valued at $351 billion in annual home sales – more than any other real estate organization. These connections make us a national and global — not just local — real estate company working on your behalf. LeadingRE is the country’s largest network of residential real estate firms, and network affiliates are widely recognized as the premier providers of quality residential real estate and relocation services. When selling your home, you need global exposure in addition to the strong marketing expertise we deliver locally. As an affiliate of Leading Real Estate Companies of the World®, we have the resources to market your property to the highest possible number of potential buyers. With 128,000 talented associates around the world, we expose your property to buyers on six continents ensuring more eyes on your property. In addition, we receive inbound clients from other affiliates around the globe who are interested in purchasing a home. Leading Real Estate Companies of the World®, is a pedigree denoting the very best companies who represent qualified clientele and wish to do business with similar firms. Each year our network is collectively responsible for more than one million transactions on a global basis. When your home is posted to our website locally, it is immediately promoted on the LeadingRE.com website. It is also immediately connected to the websites of more than 500 of our affiliated real estate firms in the world. Known in the industry for the last quarter-century as the Who’s Who in Luxury Real Estate network, a global collection of the finest luxury real estate brokers in the world, this group of more than 70,000 professionals in more than 85 countries collectively sells more than $190 billion of real estate annually, with an average sale price of $2,450,000. Members sell homes for record prices and handle transactions of incredible complexity and magnitude with complete discretion. Every member is carefully selected by Chairman/Publisher John Brian Losh, one of REALTOR Magazine’s 25 Most Influential People in Real Estate and broker of fine properties and estates through his Seattle-based brokerage firm, Ewing & Clark, Inc. For more information, please visit www.LuxuryRealEstate.com.